After a famous crime writer is found dead under strange circumstances, Alicia Griffith finds herself immersed in an investigation like no other. Expect the unexpected as this unusual plot twists and turns its way through the seemingly sleepy lakeside location. 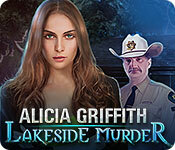 Help Alicia get to the truth in Alicia Griffith - Lakeside Murder! Alicia Griffith: Lakeside Murder is rated 2.8 out of 5 by 26. Rated 5 out of 5 by cmarti from Refreshing Detective Game Love to play Mystery Trackers and MCF, etc... but this game is a great break from the very dark and gruesome - a simple detective story. It reminds me of the Dana Knightstone games, which I loved and wish there were more of. The game play is simple but enjoyable. Rated 5 out of 5 by zelsterarch from It's About Time! It's about time Big Fish gives us a game that doesn't involve a bazillion hidden object scenes. I'm sick of playing HOs and sick of witches, fantasy, and period themed games. I have been waiting for a more modern detective/murder mystery game, and it finally happened! I won't go into the plot since other players already have. The gameplay is a little old school, but good. The acting isn't the greatest, but it is not annoying. The storyline is interesting and I am thoroughly enjoying the search for items that I need to advance in the game. There are quite a few mini games where most are pretty easy, but a few are a little challenging. Those who love the old school classic adventure games will appreciate this game. It may not be an award winning game, but it sure beats all the uninteresting games that I have to weed through here on Big Fish. I am thrilled that Big Fish offers games like this, but wish it would happen more often. Rated 5 out of 5 by Moneve from Wasn't expecting this much fun! One doesn't think this is worth playing but don't stop! The story line is great but it's all a bit archaic in play. If you like puzzles, this has plenty. Some more difficult than others. Before you know it, you are hooked! Rated 5 out of 5 by skullfun from Alica Griffith: Lakeside Murder has a unique challenging story for SE game! I really enjoyed this SE murder mystery. A ritual murder shocks a peaceful town and Detective Alicia must solve this mystery. She will need to encounter and overcome the vicious murderer. Alicia, a detective from a big city, visits a small town in the mountains for her vacation. But a murder took place and the local sheriff needs her help. To solve the mystery behind the ritual murder Alicia has to investigate the mountain town, a deep forest, an old mansion, an ancient graveyard and a hidden temple of the lost Mayan tribe where she will encounter and try to overcome a powerful and dangerous murderer. It was really challenging to solve this entire mystery but worth every moment. This SE was better than your average standard edition adventure. I hope more SE games like this will be offered a lot more on Big Fish. Cheers! Rated 5 out of 5 by Simba2009 from Not bad this is based on the demo time played, intend to buy it later today. kind of nice to have a bright game, creepy is good and dark is good but bright is a nice welcome change also. very much a beginner's game would say as have been playing big fish hidden games now for 8 yrs and the odd time like one where you really don't have to think much, can relax playing it. map feature is good, easy to find where you want to go instead of backing up all the way. the book that records the notes, tasks and people met is useful in case you want to refresh your mind. would say more but have a mother here wanting me to do something for her. Rated 4 out of 5 by ninja226 from Loved this game This is a conventional HO game minus the junk pile HOPs. 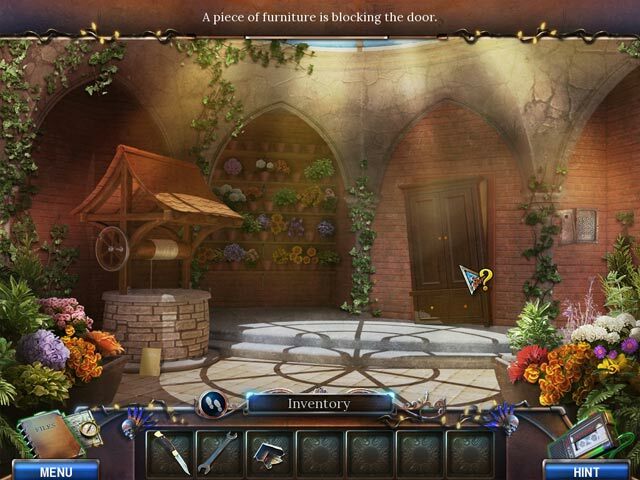 It's mainly an adventure HO game where the hidden objects are in the scenes encountered. The artwork is good. Voiceovers are appropriate for the characters drawn. Background music has an X-files ambience. The story is easy to follow and helpful messages are present throughout the game, along with Hint & skip. The puzzles are 90% easy. There were a few that took more work to solve. Every task completed earns an achievement and garners the title of Junior Detective, Master detective, or police chief. However, no extra games. I would have given 5 stars, but took off one star because no walkthrough is available. The ending leaves room for a sequel, but I didn't see any in BFG's search engine, which is a shame, because I liked Alicia and would have been interested in her adventures. Rated 4 out of 5 by Novella2 from Fun game I am playing this game and enjoying it very much. 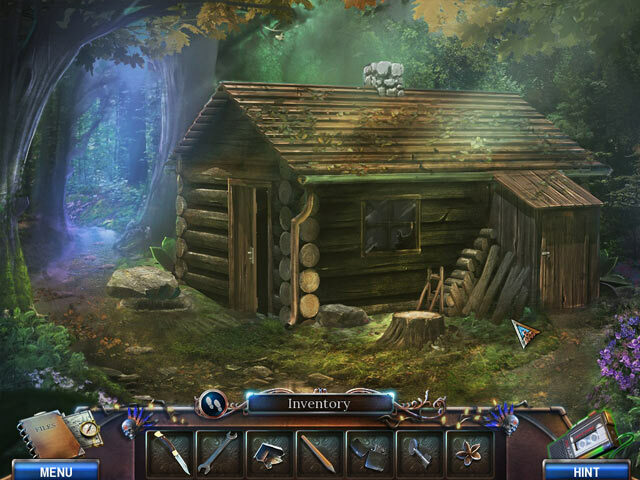 It is not a hidden object game. There are puzzles, but they are not very hard. I find the graphics are good and acting is good. There is even a map which enables you to travel and hints that recharge quickly. Rated 4 out of 5 by pgillenw from "Murder most foul" makes for a good plot! While this game is old style in its functions I found that challenging since I am now trained to the newer games. I also enjoyed the story and the story could be revisited in the notebook. I think that the game is worth playing so with that thought and the story line I gave it 4 star. Newer games, at least many now, are more easy play for they make it so obvious where objects found are to be used this game required you to hunt and in many cases try a solution found object. Not bad -- just a tad more challenging don't you think? Rated 3 out of 5 by Myfishydog from OK I was looking for a game that would not ask too much from me after a hard day. This one fits the bill there. I found the many spelling/grammatical errors a problem. If English is not the game developer's first language they should have someone who is go through their scripts. If English is their native language, shame on them! Week instead of weak in at least two places. Otherwise, it was an ok game with as far as I was concerned too many mini games/puzzles. I did not want to work at it that much this time. 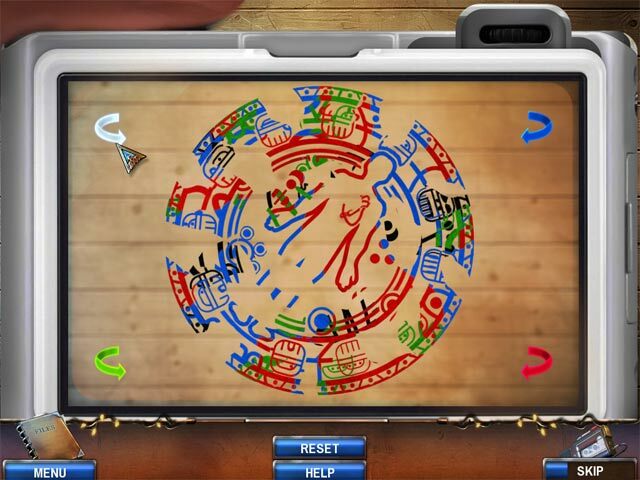 If you like the puzzles or mini games this is for you!